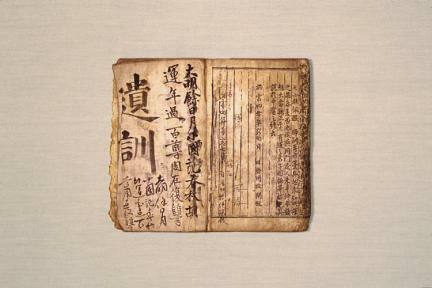 Jungyong juja hongmun was first introduced from Yuan China in 1371, the 20th year of the reign of King Gongmin of Goryeo and made as a block book. 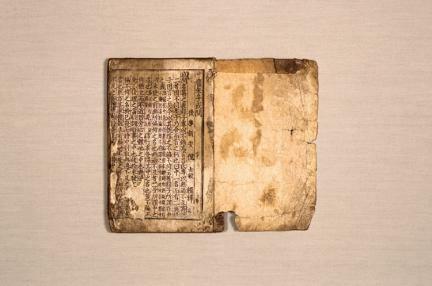 It is a question and answer type of book explaining various points of issues about jungyong (mutatis mutandis), one of the Four Books written by Zhuxi in Sung China.The characteristics of original book are comparatively well preserved and expressed, the engraving is quite elaborate and the printing is quite clean. Two volumes are currently kept in collections. One is in the collection of Korea University Library and the other is kept at his Seoul residence, and they are respectively designated as Treasures No. 706 and 707. This is an edition of the Goryeo government which includes a note that it was re-edited in Jinju in July of the 4th year of King Hongho’s reign (1371), and so it is an important source for researching philology.